The Movement & Mobility classes are designed to help you improve your squat, overhead shoulder mobility as well as core stability, and to create the best movement patterns, which will lead to increased athletic performance; by alternating from stability to mobility. You’ll learn about mobility must haves: ankles, hips, and thoracic spine. 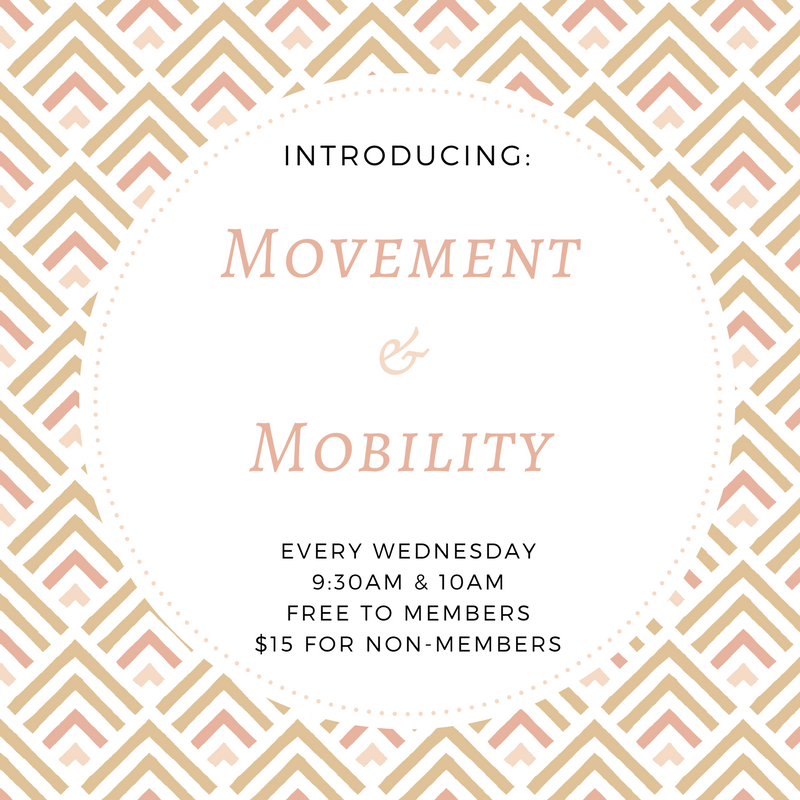 Moreover, this class will help increase joint range of motion, muscular flexibility, will help aid in RECOVERY, and will decrease the chance of injury. Movement & Mobility classes are about making the body happy from head to toe.